Are you searching for Mi account files for latest Redmi 6A, Redmi 6, Redmi 6 Pro, Redmi Note 6 Pro, Poco F1, Redmi Note 7 & Redmi Note 7 Pro modles? If yes then you have landed on right place. 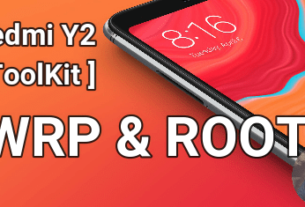 Here in this post we are adding all working and tested Mi account unlock or frp unlock files for below listed Redmi or Xiaomi models. Please Note: After updating new security features, now users can flash Redmi 6 & Redmi 7 series using any mobile flashing tool boxes. In order to flash these listed Redmi devices, you need to use Mi account authorization tool with id & password. Most probably you may know that Xiaomi developed a new security layer to protect users account and data. And this time it’s known as “Mi Account Authorization Lock”. Just because of this extra security feature, you can’t flash latest Xiomi or redmi devices like Redmi 6A, Redmi 6, Redmi 6 Pro, Redmi Note 6 Pro, Poco F1, Redmi Note 7 & Redmi Note 7 Pro by using old EDL mode & Test Points. This time you have to login in “mi account authorization” with correct IS & password. And then you can continue the firmware flashing or Mi account bypass process. What Is MI ACCOUNT AUTHORIZATION? As we already told you, It’s a latest security feature developed by Xiaomi’s developers to prevent secure the device from third persons. 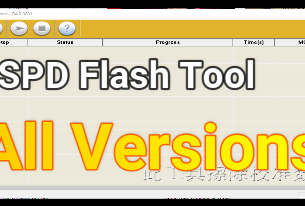 Probabely, you may know that, we can flash MIUI fastboot ROM on any device through the Download Mode [ EDL Mode ] or Test Points methods. In the same way, we can flash MIUI fastboot ROM using Mi Flash tool without unlock bootloader and it will remove Mi account. But now it’s not possible for Redmi 6 Series & Redmi 7 Series. that is why Xiaomi put such authorization in place. In short, now only authorized Mi account user can flash MIUI Fastboot ROM through the EDL mode or Test Points. Otherwise, you have to loigin with paid Mi Account authorization credentials. Once you are successfully login into Mi account authorization tool then below Files can be used to unlock FRP & MI account in Redmi 6 & Redmi 7 series phones. Note: Only After MI authorization, these Files can be used to unlock FRP & MI account in Redmi 6 & Redmi 7 series phones.